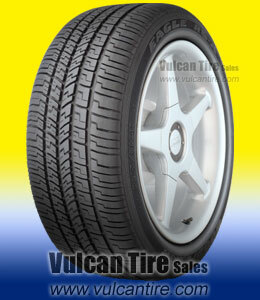 "Great prices, great shipping, great tires... what else can I say... THANKS!" In the rain, in the snow and on dry roads, the Eagle RS-A Radial's unique asymmetrical tread design offers superior traction to help you keep your course. And with its premium sidewall styling, it looks as good as it performs.